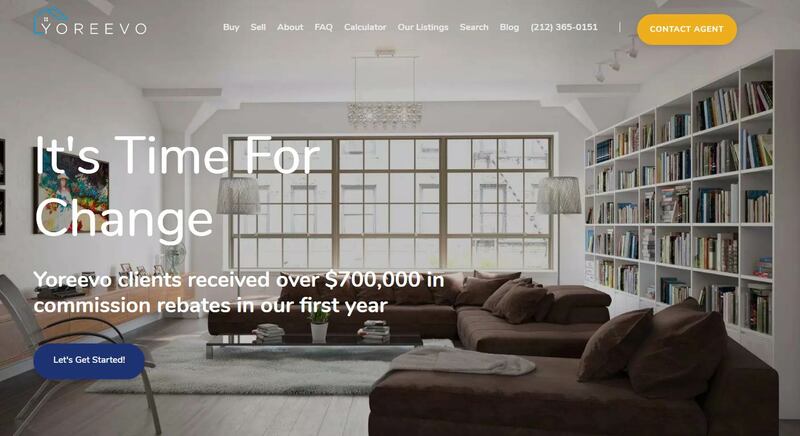 Reviews for Yoreevo, a NY-based real estate broker, offers sellers listings savings and refunds buyer’s rebates. Yoreevo is a New York-based real estate broker that offers sellers listing savings and refunds buyer's part of their commission. Yoreevo is a consumer-focused real estate agent that successfully represents consumers in New York and offers sizeable savings. Yoreevo is focused on efficiency, professionalism, attention-to-detail, and commitment to putting customers first. By making every step of the process as efficient as possible, Yoreevo agents are more than 5x as productive as the typical agent. Included in the 1% listing fee are professional photos and marketing materials, comprehensive listing distribution, unlimited open houses and private showings and of course a dedicated, experienced agent throughout the entire transaction. For buyers, Yoreevo helps clients to navigate the entire process from discovery, negotiation, documentation to closing. Overall, Yoreevo offers an excellent proposition to buyers and sellers alike.